Why Above the Crowd Moving? 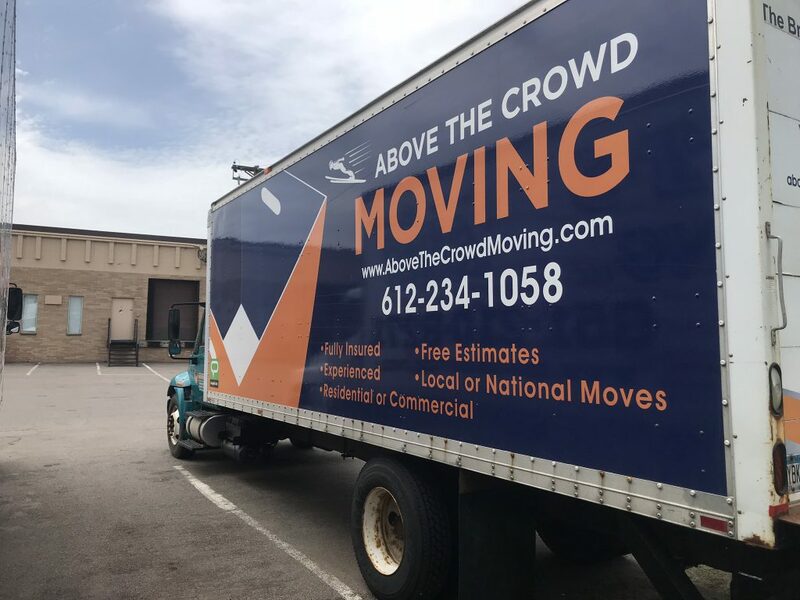 Above the Crowd Moving was founded in 2001 by experienced movers who wanted to give customers affordable options when they need to move their home or office. We started with a location in Minnetonka Minnesota in 2002 and then added a second location in 2008 to service the Woodbury area. Our movers have a combined total of about 100 years of moving experience, we've moved well over a hundred thousand homes. Our residential movers are trained in moving and packing. We diligently train all moving crews in the most productive, efficient, and safe way to move your belongings. Whether you have a small one bedroom home or a large 5 bedroom home, Above the Crowd Moving can get your home moved in a professional , cost-effective manner. We have one numerous awards and maintain an above 4.5 star rating on review sites. The customer comes first. Our residential moving services are unmatched in Minnetonka and Woodbury, We come prepared to every job with tools needed to complete you move. We provide the moving truck, dolly's, shrink-wrap, speed packs, moving blankets, and straps. For customers who want to leave the entire move to our movers or want just a room packed, we provide high quality moving supplies and provide a professional full-service pack and unpack. We also offer commercial moving services to business's in the Minnetonka and Woodbury area. Our certified movers know how to minimize your downtime and we offer a wide array of commercial moving services for office moving, business moving , and warehouse relocation. We can keep your property safe and secure in our climate controlled storage facility located in Saint Paul, MN. Whether your looking for short-term or long-term storage service with more or less than a truck load. We also move pianos, safes, gun safes, and heavy furniture. We have the equipment and the expertise to move these heavy items. Above the Crowd Moving offers residential & commercial moving services at an affordable price. Get a Free no-obligation quote on your next move in Minnetonka, Woodbury, or the Twin Cities Metro. Copyright © 2018 Above the Crowd Moving. All rights reserved.